When SmartThings (Classic) or Hubitat is paired with a compatible audio device (such as a Sonos, Ubi, LANnouncer, VLCThing, AskAlexa, etc) and Big Talker SmartApp, your house can say what you want it to say when events occur. musicPlayer devices only (Sonos, etc). Does not support speechSynthesis devices such as Ubi and LANnouncer among others. For example when turning off a switch named “Office Light” with a spoken phrase of "%devicename% %devicetype% has been turned %devicechange%" would speak "Office light switch has been turned off". Another example would be to create a simulated switch that is turned ON in the morning by your Good Morning routine, and then OFF at night with your Good Night routine. Then set up a Big Talker switch event group tied to that switch’s ON event that speaks "Good Morning. %weathercurrent% %weathertoday%"
Keep in mind, if you configure highly active or too many devices, it may get annoying or cut a previous message off!! We had a family gathering and the kids kept going in/out the back door to play in the yard. “Back Door has been opened, Back Door has been closed, Back Door has been opened, you get the idea.” I wouldn’t configure chatty motion sensors either, but that’s up to you. 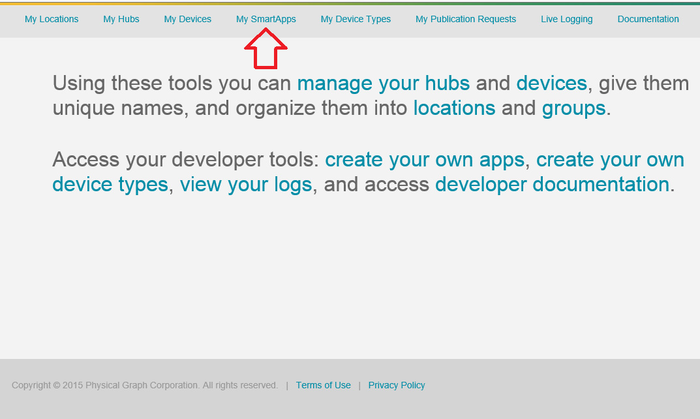 Please indicate if your issue is on ST (SmartThings) or HE (Hubitat Elevation). While on the GitHub site, Select all of the code (typically CTRL+A) and copy It (typically CTRL+C). 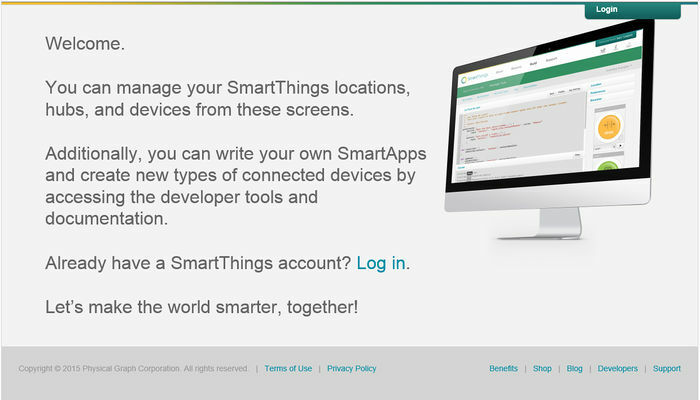 Next, point your browser to you SmartThings IDE for your country (i.e. http://ide.smartthings.com or https://graph-eu01-euwest1.api.smartthings.com) and Log In. If installing 2.x, Publish only the parent app and then repeat the above steps but save, don't publish the child app. Once you have integration configured, the code you need will be available to you to download and keep in sync with the latest versions. On the right-hand column, scroll down to click the apps you want to install (BigTalker2). Publish only the parent app (BigTalker2), save the child app (BigTalker2-Child). When adding code from the repo you have to add it in a specific order or the IDE will generate an internal server error. Add BigTalker2 first (publish!). Then go back and add BigTalker2-Child (save only). Follow the [Community SmartApp Installer's installation instructions] and it will then allow you to easily install and update BigTalker using your mobile device from that point forward! * Important: Select your mode. Read the prompt. * Speech Synthesis works with devices using the speak() function. Only supports text to speech. Doesn't support mp3 playback. * musicPlayer works with devices that use the playText(), playTextAndRestore, playTextAndResume functions, does support mp3 playback. If you have other sound effects/mp3's that you would like to use in your automations, please ensure that they are royalty-free and that you have the rights to use them, then send them to me brian[a.t]lowrance.cc (obviously replace [a.t] with @). Send a note indicating that they are royalty-free to use and I'll consider hosting them for you (from a data center in Buffalo, Ny; currently but may move in the future). Hosting determination will be based on anticipated desire of multiple users, will be non-binding, will be a volunteer service provided and removable at any time with or without notice. These features are not guaranteed; however they are in my current thought process for BigTalker enhancements/adjustments (in no particular order). Do away with having separate musicPlayer and speechSynthesis modes. This page was last edited on 6 April 2019, at 23:44.